In two unrelated incidences, properties were destroyed by fire last week. On Tuesday evening, 6 May around 19:40, this picture of a burning bus was taken in Northam. The communications officer of the bus service was not able to give us a press release and they didn’t want to speculate on this matter. 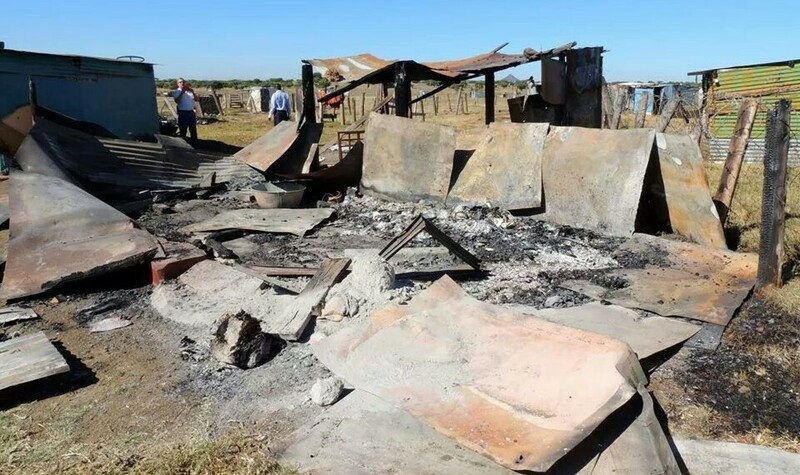 On Sunday night, 11 May, Four shacks were burnt down to the ground in Smashblock. Although it was said to Kwêvoël that this was politically motivated, all opposition parties denied it. The SAPS is on standby to prevent any further problems. Nobody was injured during these fires.